If you want to know what causes shoulder pain and what does and doesn’t work to fix it, then you want to read this article. Shoulder pain is poorly understood, and many of the things that people think help either aren’t scientifically supported or have been debunked. Unless you’ve damaged your shoulder in some kind of accident, then the most likely cause of shoulder pain is overuse—doing too much with too little rest. The only reliable way to reduce shoulder pain is to rest your shoulder until you’re completely pain free, although there are six other strategies that may help as well. It’s bench day, and you’ve just loaded the bar with enough weight to set a new PR. You unrack the bar, lower it to your chest, and right at the bottom a sharp pain shoots through your shoulder. It only lasts for a moment before you slam the bar back onto the rack, so you shrug it off and keep going. The same thing happens a week later, though, and this time the pain gets progressively worse with each set. You’ve had aches and pains before, but this is different. Weeks go by, and now your shoulder hurts when you type, hold a steering wheel, brush your teeth, or do just about anything with your gimpy arm. It hurts just enough to keep you from making any progress in the gym, but not enough for you to stop lifting entirely. When you ask your friends what to do, everyone has a different opinion. When you turn to the Internet for answers, you run into the same problem. Everyone has a different opinion about what’s causing your shoulder pain, how long it will take to heal, and how to fix it. Some say that shoulder pain is caused by poor posture, muscle imbalances, lack of flexibility, overtraining, or any kind of heavy weightlifting, but no one can really explain why. There’s a reason everyone seems to have an opinion. Over the course of a year, anywhere from 7 to 67% of people have some form of shoulder pain, and that number is even higher in athletes. So, how are you supposed to know who’s right? Shoulder pain is a poorly understood phenomenon, and outside of a few rare cases, it’s almost impossible to tell exactly what’s causing it. The good news, though, is that most forms of shoulder pain resolve by themselves if you rest properly (and that’s not as simple as just staying out of the gym). In this article, you’ll learn what causes shoulder pain, what does and doesn’t work for reducing shoulder pain, and the seven best ways to fix shoulder pain for good. What’s the Best Way to Reduce Shoulder Pain? One of the reasons shoulder pain tends to be so frustrating is that it’s rarely obvious what’s causing it. Unlike a simple hinge joint, like the knee, the shoulder joint is made up of many different bones, tendons, muscles, ligaments, and other structures that intersect in a jumbled mess, making it hard to tell what might be hurting and why. 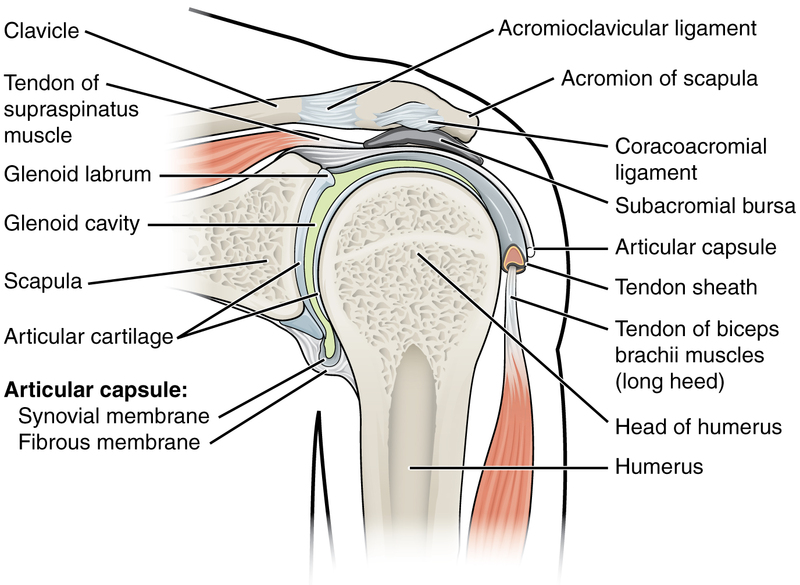 The glenohumeral joint, where the humerus meets the scapula. 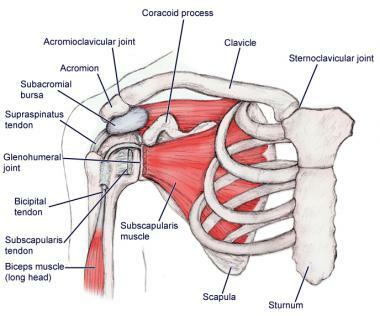 The acromioclavicular joint, where the clavicle meets the scapula. The sternoclavicular joint, where the clavicle meets the sternum. The scapulothoracic joint, where the scapula connects to your ribs. Muscles from your arm, chest, back, and neck all crisscross the area, and there are several large bursa, or fluid-filled sacs that pad your joints, stuck in there too. This is why it’s so hard to get a straight answer when figuring out what’s causing your shoulder pain. 1. Repetitive strain injuries (RSIs). Repetitive strain injuries are caused by the wear and tear from repeated movement and overuse. RSIs tend to start small and get progressively worse over time, which is why many people keep training and make the problem much worse. RSIs are one of the most common causes of shoulder pain in athletes. Traumatic injuries are injuries caused by an immediate tear, strain, or bruise. When it comes to shoulder pain, this would be something like letting a dumbbell rip your arm back when chest pressing or dropping a barbell on your chest when benching. Luckily, these kinds of injuries are relatively rare. When they do happen, they’re usually painful enough that people have the common sense not to keep training, too. Chronic injuries are any kind of repetitive strain or traumatic injury that should have healed, but hasn’t. In most cases, these kinds of injuries only bother you off and on, and while they’re painful enough to be annoying, they aren’t bothersome enough to make you stay out of the gym. Chronic injuries can be caused by any number of things, but as you’ll see, they’re typically related to overuse. By far the most common of these three injuries is the repetitive strain injury. That doesn’t tell us what’s hurting, why it’s hurting, or what to do about it, though. And unfortunately, it’s impossible to find definitive answers to those questions. For instance, many people think that any kind of shoulder pain must be caused by inflammation of the muscle, bursa, or tendon (such as tendonitis) but the truth is that many shoulder injuries aren’t inflamed. Instead, there are tiny microtears in the joint structures that your body hasn’t been able to repair as fast as you’ve been creating them, which compromises the strength of those tissues (this is known as tendinosis). This is why physical therapists often give people several different treatments, in the hopes that one or some of them will work. As unscientific as it sounds, reducing pain is often a matter of throwing a bunch of things at the wall and seeing what sticks. That said, you still want to focus on the solutions that are most likely to work, so let’s look at some of the most common techniques people use to fix shoulder pain and see how they stack up. Here’s the bad news: There’s very little research on the best ways to reduce shoulder pain, specifically. There’s a lot of data on pain and joint pain in general, and it’s fair to assume that most of that applies to shoulder pain, too. With that in mind, let’s look at 15 of the best and worst cures for shoulder pain, and see how they stack up against the evidence. “Tightness” and lack of flexibility can cause and exacerbate injuries, so becoming more flexible reduces pain and helps you heal faster. Stretching makes you more flexible, so stretching helps fix your shoulder pain. That sounds good in theory, but it fails at almost every level. First of all, there’s no link between shoulder flexibility and range of motion and shoulder pain. In other words, people who are less flexible aren’t necessarily more likely to experience shoulder pain. Second, there’s very little evidence that stretching reduces pain or soreness. Some research shows stretching might help reduce pain, but the effects are so small that they aren’t much different from doing nothing. 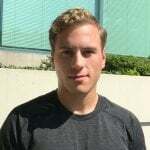 Another study found that active release technique (ART), a specific kind of stretching, helped reduce neck pain, but the improvements were miniscule. That said, stretching could reduce inflammation in connective tissue, and inflammation could be one contributor to joint pain. Right now, though, no one knows for sure. If inflammation isn’t the cause of your shoulder pain, then it’s even less likely this would help. The bottom line is that stretching might help reduce shoulder pain a little in the short term, but there’s no evidence becoming more flexible will help prevent shoulder pain or reduce shoulder pain in the long term. Massage feels good, has very few risks, and is used by many people to reduce pain, but how well does it really work? Research goes back and forth. Some studies show massage reduces joint pain and others don’t, but on the whole it looks like it’s better than doing nothing. It’s also hard to say if the (small) benefits of massage therapy are due to the massage, or from a more general improvement in mood. Massage reduces anxiety and depression, which are both linked with joint pain, so it’s possible that simply feeling better is what makes the pain diminish. The bottom line is that massage may help reduce your shoulder pain and certainly won’t hurt, but it’s far from a sure bet. If you can afford it, it’s probably worth a shot. Chiropractic is a form of alternative medicine based on fixing misaligned joints, especially the spine, by manually pushing and pulling them back into position. In theory, realigning joints this way improves the function of nerves, muscles, and other organs in the body. No studies have directly measured how chiropractic affects shoulder pain, but the little evidence available doesn’t look good. Most studies show chiropractic doesn’t reduce joint pain, and the few that do also show that it’s not any more effective than other kinds of therapy. There isn’t even a plausible mechanism for how chiropractic could help reduce shoulder pain. To be fair, many people say that chiropractic helps them feel better, and there’s truth to the idea that, “If it works, it works.” On the other hand, chances are good that any improvement is more likely a placebo effect, so don’t count on chiropractic to actually fix whatever is wrong with your shoulder. The bottom line is that there’s little evidence that chiropractic will reduce shoulder pain, and if it does help you feel better, chances are good it was through a placebo effect. Foam rolling is a kind of self massage that involves using a foam tube to rub and compress muscles. Depending on who you ask, one of the main arguments for foam rolling is the idea that pain is caused by trigger points—patches of connective tissue that become overstimulated, tight, and painful. This connective tissue is known as fascia, and it attaches, protects, and separates muscles and other internal organs. In theory, kneading these trigger points with a foam roller, tennis ball, or a stick helps release these tight patches of fascia, thus reducing pain. The parts of a muscle that feel the tightest and most painful are, objectively, often the softest parts of the muscle. That’s the opposite of what you’d expect if “tight” fascia were causing pain. Trigger point experts often can’t agree what the different trigger points are or how to find them, so it’s hard to say that foam rolling them is a reliable way to reduce pain. Studies on trigger point therapy are all over the place. Some show that it helps reduce pain and others don’t, and none of the results are impressive. All in all, the evidence for foam rolling is probably one rung down from getting a professional massage. It’s probably better than doing nothing, but not much. The bottom line is that there’s almost no evidence that foam rolling reduces shoulder pain, but it’s probably better than nothing if it makes you feel better. Acupuncture is a kind of alternative medicine that involves poking the skin or tissues with extremely thin needles to alleviate pain and to treat various physical, mental, and emotional problems. Some people say acupuncture works because it “define rebala” the lifeforce of your body, which they call“qi.” Others say it works because it stimulates the body to produce more painkilling chemicals. And others don’t really try to justify why it works. What do studies show, though? Well, that acupuncture doesn’t work. People who get acupuncture for shoulder pain get about the same results as people who get a placebo treatment. About the best you can expect is a short drop in pain for a few weeks, and even then, the results are so small that they’re almost nonexistent in most cases. First, most of the studies are poorly blinded, which means it’s too obvious to either the researchers or the subjects who’s receiving the treatment (and this can skew the results in favor of acupuncture). Second, when you’re dealing with pain, providing just about any type of treatment is better than simply doing nothing (thanks to the placebo effect). Third, the few positive results are disappointingly small. For example, people who get acupuncture for knee pain typically say their pain improves by 4 points on a 20 point scale, and people who get a placebo treatment say their pain improves by 3 points on a 20 point scale. Not exactly impressive. The bottom line is that there’s very little evidence that acupuncture can reduce shoulder pain, and in most cases, it’s no better than doing nothing. Researchers aren’t entirely sure why, but it could have something to do with weight gain increasing whole-body inflammation. Chronic, low-grade inflammation is linked with a number of aches and pains, and it may also increase your risk of shoulder pain. This hasn’t been proven outright, but it seems possible. The bottom line is that losing weight may reduce your risk of shoulder pain, and if nothing else, we know it’s going to improve your health overall. The general idea is that small quirks in your posture, like putting more weight on one leg when you stand, gradually pull your body out of alignment. This forces other parts of your body compensate by altering their movement, which leads to pain over time. If you fix your posture, it’s claimed, then everything will fall back into alignment and the pain will go away. And all of this is more or less hogwash. There’s very little evidence that small irregularities in posture, movement, or alignment increase your risk of any kind of joint pain. This idea has been thoroughly debunked for shoulder pain, neck pain, knee pain, back pain, and many other kinds of joint pain. One of the main nails in the coffin for this idea is evidence that people experience pain with no signs of physical injury or “misalignment,” and there are other cases where people have serious structural damage like dislocated vertebrae, but no pain. Other studies have shown that muscle imbalances and variations in posture aren’t linked with joint pain. This isn’t to say that poor posture couldn’t have any effect on shoulder pain, but it’s rarely the main cause. The bottom line is that poor posture is almost certainly not the main cause of your shoulder pain, and “posture correcting” exercises have never been proven to reduce shoulder pain. Non-steroidal anti-inflammatories (NSAIDs) are drugs that block chemicals made by your body that increase pain, swelling, and inflammation. Some of the most common NSAIDs are ibuprofen (Advil), naproxen (Aleve), and celecoxib (Celebrex). To reduce pain in the short term. To reduce inflammation, which is sometimes associated with joint pain. In the short term, NSAIDs can reduce pain, which is why they aren’t a bad choice if you’re only taking them for a few days to get through the worst of the pain. If your shoulder pain is caused by inflammation, then NSAIDs may also be able to help fix the actual cause of your pain, and not just reduce pain. Unfortunately, many shoulder injuries aren’t inflamed, which means painkillers like NSAIDs aren’t actually healing your shoulder. This is why most NSAIDs don’t work well for reducing joint pain for more than a few days or weeks. So, if it just makes your shoulder feel better, what’s the problem with taking them? Well, there are a few risks with NSAIDs, too. First, gastrointestinal problems like ulcers have been noted with long-term NSAID use. This doesn’t happen often, but it’s possible. Second, if you mask the pain with NSAIDs, it’s easier to re-injure your shoulder by training harder than you otherwise would. That said, assuming you’re otherwise healthy, there’s no reason you can’t take NSAIDs for a few days to get through the worst of the pain if you injure your shoulder. The bottom line is that NSAIDs can reduce pain for a few days or weeks, but they don’t work well for healing shoulder injuries or reducing pain long term. If you take them to cover up shoulder pain so you can keep training, chances are good you’ll only re-injure your shoulder. Glucosamine and chondroitin are structural components of collagen, the main protein that forms cartilage. Both compounds are produced naturally by the body, but they’re also sold together as the supplement glucosamine-chondroitin. The idea is that by providing the body with more of these two chemicals, you can improve joint health. It hasn’t panned out that way, though. There’s no evidence that joint pain is caused by a lack of glucosamine and chondroitin, so it doesn’t make sense that supplementing with these compounds would reduce joint pain. Additionally, studies have repeatedly shown that glucosamine-chondroitin isn’t effective for reducing joint pain or improving cartilage health. It flat out doesn’t work. The bottom line is that glucosamine-chondroitin supplements have never been proven to reduce or prevent joint pain. Inflammation causes pain and makes it harder for injuries to heal. Reducing inflammation will reduce pain and help injuries heal faster. Therefore, icing reduces pain and helps you heal faster. This logic has made icing standard dogma for decades—if any joint hurts, you should ice it early and often. Recently, though, the pendulum has swung in the other direction. Now, experts warn that icing can actually slow healing and prolong joint pain. The good news is that both groups are wrong. There’s very little evidence that icing helps, hurts, or does anything to your joints. The same thing is true of alternating between icing and warming, known as “contrast therapy,” it doesn’t seem to do much of anything. That said, icing can reduce joint pain for as long as you keep the cold pack on your shoulder, but it’s not going to make shoulder pain go away faster over the long term. The bottom line is that icing has never been proven to reduce joint pain, but it can temporarily reduce your shoulder pain by numbing the area. Physical therapy, also called physiotherapy (PT), involves using exercises, special devices, and education to help people regain or preserve healthy movement. PT can involve any number of different treatments from massage to special movement exercises to medical devices that reinforce proper movement. Different physical therapists also have different methods and recommend different techniques, so it’s hard to say across the board whether it “works” or not. When it comes to shoulder pain, studies are hit and miss. Some show it helps, others don’t, and many of them are too small or low quality to tell either way. Interestingly, one thing we do know is that the people who are happiest with their physical therapist generally have the best results. Whether that’s because simply feeling like you’re in the hands of a trained, kind professional reduces pain, or whether these people liked their therapist more because they did a great job, is impossible to say. What we can say, is that if you decide to see a physical therapist, make sure it’s someone you like. The bottom line is that physical therapy might help reduce shoulder pain, but that depends on what’s causing the pain and what the therapist recommends. Prolotherapy, or “proliferation therapy,” involves injecting an irritant into a tendon, muscle, or joint to promote the growth of new tissue. Typically, either a sugar solution (dextrose) or a purified form of cod liver oil (morrhuate sodium) is injected every few weeks for several months. The idea is that by irritating the surrounding tissue, you can encourage the body to heal itself. Researchers have tested prolotherapy on all kinds of muscle and joint pain, including . . .
. . . and the best we can really say is that it might help reduce pain for some problems, but most of the time it either doesn’t work or the benefits are too small to matter. The underlying mechanism for why prolotherapy might work has also never been proven, and studies show that there’s no increase in cartilage growth after prolotherapy injections. The bottom line is that prolotherapy probably doesn’t reduce shoulder pain, and almost certainly isn’t worth the cost, inconvenience, and discomfort of having to get repeated injections. Transcutaneous Electrical Nerve Stimulation (TENS) involves using a device to send an electric current through the skin to stimulate nerves and reduce pain. Sending an electric current through the skin can cause some odd sensations and muscle contractions that could “drown out” pain, and it may be able to suppress pain signals in the brain, but that doesn’t necessarily fix the underlying problem. One review study on TENS found that it helps about half the time and doesn’t help the other half. Other studies are even less positive, and show it probably just doesn’t work for joint pain (although it might help other conditions, like diabetic neuropathy). The bottom line is that TENS might help reduce some kinds of pain, but it probably won’t work for shoulder pain. Cortisone is a kind of steroid that reduces inflammation. A corticosteroid injection, or cortisone shot, is an injection of cortisone into a tendon to reduce inflammation and pain. They’re often used for joint pain such as carpal tunnel syndrome, knee pain, and shoulder pain. Cortisone shots can reduce inflammation and shoulder pain in the short term, but as soon as the drugs start to wear off, the pain returns. Some researchers also think there’s a link between cortisone shots and tendon degeneration, although that’s still largely unproven. The bottom line is that, in most cases, cortisone shots aren’t going to reduce your shoulder pain for long, and won’t do anything to heal your shoulder. Some people say that as soon as your shoulder starts hurting, you should stop working out completely and rest as long as you need to before you do any kind of exercise. There’s some truth to that. Most people have a tendency to “push through the pain,” which only makes the problem worse. But you don’t want to stop working out entirely. In general, complete rest actually increases pain or delays healing compared to light activity. Other research on both repetitive strain injuries and traumatic injuries shows that light exercise helps connective tissue heal faster. So, while you don’t want to keep doing any activities that cause pain, you want to stay as active as you can without causing your shoulder to hurt any more than it already does. I saved this for last because, right now, active rest is about the most well-supported treatment for shoulder pain out there. If moving your shoulder in a particular way hurts, then stop moving your shoulder that way until it’s back to 100 percent. The bottom line is that active rest—moving your shoulder as much as possible without experiencing any pain—is the most reliable way to reduce shoulder pain. Well, that’s what you’re about to learn. There are seven things you can do that will reduce shoulder pain in most cases. None of them are guaranteed fixes, but they’re your best options. The first technique is by far the most reliable. After that, the remaining six fall into the category of “throw it at the wall and see what sticks.” They might help, but they’re also unlikely to hurt, so there’s no harm in trying them. If your shoulder hurts during certain exercises, and you haven’t been through some traumatic injury, then chances are good you’re dealing with some kind of repetitive strain injury (RSI). To understand why, we need to look at what happens to your body when you exercise in the first place. When you lift weights, the tissues in your muscles, tendons, and joints sustain small amounts of damage. Between workouts, your body repairs as much of the wear and tear as it can and, provided you allow enough time for recovery, these tissues get stronger and more durable over time. Sometimes, though, this wear and tear builds up faster than your body can repair it, and things start hurting. As mentioned earlier, the single biggest mistake people make when dealing with repetitive stress injuries is they ignore the early warning signs and keep training as normal. Sometimes the pain goes away on its own, but most of the time, you’re just digging yourself into a deeper and deeper hole. This is how a minor, niggling pain can grow into a debilitating injury that takes months to heal. Luckily, the solution is simple—rest. Assuming you just have an RSI, and you’re otherwise healthy, your body shouldn’t have any trouble repairing itself. Now, the annoying part is that some injuries can take a while to heal, which means taking weeks or even months away from the activity that caused the injury. Tendon injuries are one of the most frustrating, as they typically take much longer to heal than other kinds of damage. The good news is that you don’t have to stop exercising altogether. Studies show that active rest, doing light activity but avoiding anything that causes pain, can help you heal faster. So, as a general rule, the best way to reduce shoulder pain is to move your shoulder as much as possible without experiencing any pain. Immediately stop lifting weights and start doing other activities, like walking, that don’t hurt your shoulder. Modify your lifting plan to work around your shoulder pain. Both approaches have pros and cons. If you take the first option, then there’s almost zero chance of prolonging your shoulder pain, but you also have to stop doing any kind of weightlifting. If your shoulder’s been hurting for a while, this is a better option. The easiest way to practice active rest is to pick a different form of exercise, like walking, cycling, rowing, hiking, or swimming, and start doing that for at least 30 minutes a day. If you take the second option, then it might take longer to recover, but you also get to keep going to the gym. If your shoulder doesn’t hurt much, hasn’t been hurting for long, or only hurts when you do certain exercises, this might be the better option. Use different variations of bench press that don’t hurt, such as dumbbell press, machine bench, spoto press, or close-grip bench. Stop doing all pushing exercises. Stop doing all upper body exercises. Stop lifting until you feel better. As we covered earlier, there isn’t much evidence that stretching, foam rolling, or mobility exercises prevent or reduce shoulder pain, but they aren’t going to hurt, either, and many people find these strategies help them feel better. Mobility refers to how well you can move a joint through its natural range of motion. When it comes to the shoulder, this means being able to move your arms without feelings of tightness when doing exercises like the bench press, overhead press, and incline bench press. Most shoulder mobility exercises involve using simple stretches or tools like foam rollers, elastic bands, and lacrosse balls to massage and stretch the muscles around your shoulders, neck, and chest. If you aren’t currently lifting weights, and doing so doesn’t hurt your shoulder, then you should start. Increasing shoulder strength is one of the more reliable ways to avoid shoulder pain, and the same thing is true of neck pain as well. You don’t need to do special physical therapy exercises either. The study listed above used simple dumbbell exercises like the dumbbell row, dumbbell shrug, and lateral raise. Weightlifting injuries are less common than most people think, but when they do happen, it’s often because the person wasn’t using proper technique. Form mistakes go far beyond the heavy half repping that gives a bad name to the big compound lifts like the squat, deadlift, bench press, and military press. You can work with proper amounts of weight and use a full range of motion and still put yourself at a considerable risk of injury. If you round your back during a deadlift, or hyperextend it too far at the top, you’re asking for a lower back injury. If you flatten your back and round your shoulders at the top of a bench press, or flare your elbows out too much, you’ll probably have shoulder problems at some point. If you let your knees bow in when you squat, you can really hurt them when going heavy. Most exercises have little quirks like these, which is why you should take the time to learn proper form on everything you’re doing, and make sure to stick to it. Many people’s warm-up routines consist of a few minutes of static stretching. This is a bad way to go about it. Static stretching before exercise has been shown to impair speed and strength, and not only fail to help prevent injury, but possibly increase risk of injury due to the cellular damage it causes to muscle and its analgesic effect. A proper warm-up routine should increase blood flow to the muscles that are about to be trained, increase suppleness, raise body temperature, and enhance free, coordinated movement. The best way to do this is to move the muscles repeatedly through the expected ranges of motion, which does reduce the risk of injury. By doing this warm-up routine, you’ll not only help prevent injury, but you’ll probably find that you can lift more weight while maintaining proper form. Massage is one of the safest, least invasive things you can do to reduce shoulder pain. There isn’t much evidence for or against it, but many people find it helps reduce pain at least for a while. It might help, and probably won’t hurt, so it’s worth a shot if you can afford it. Compared to active rest and following a proper workout routine, supplements are going to have a very, very small impact on how fast you heal from shoulder pain. Some of the most popular supplements for joint pain, like glucosamine-chondroitin, have also been thoroughly debunked. That said, there are safe, natural substances that science indicates may help prevent and reduce shoulder pain. 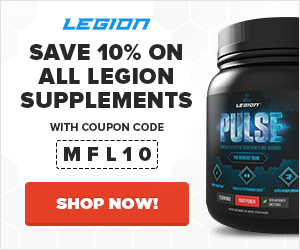 Let’s quickly review the supplements that are most likely to help. Fish oil is known for being anti-inflammatory, and in cases where shoulder pain is caused by inflammation, taking fish oil may help. The two main ingredients in fish oil, eicosapentaenoic acid (EPA) and docosahexaenoic acid (DHA), improve the production of anti-inflammatory compounds in the body. If you eat several servings of fatty fish like salmon, mackerel, sardines, and cod every week, you may not benefit from supplementation with fish oil. If you don’t, however, it’s a good idea to include it in your daily supplement regimen. 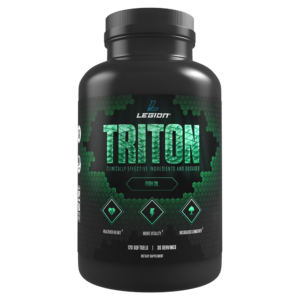 And if you’re looking for a high-quality fish oil, then you want to check out Triton. So, if you want to optimize your mental and physical health and performance and reduce the risk of disease and dysfunction, like shoulder pain, then you want to try Triton today. Curcumin is the yellow pigment found in the turmeric plant, which is the main spice in curry. It’s been used therapeutically in Ayurvedic medicine for thousands of years. Its health benefits are extensive, and scientific researchers around the world are investigating applications for fighting a variety of diseases such as cancer, cardiovascular disease, osteoporosis, diabetes, Alzheimer’s, and more. One reason for this is that curcumin has powerful anti-inflammatory effects, which are exerted by inhibiting proteins that trigger the production of inflammatory chemicals. Curcumin has a significant downside, however: intestinal absorption is very poor. So much so that supplementation without enhancement more or less eliminates the majority of its health benefits. Fortunately, there’s an easy solution for increasing bioavailability: black pepper extract. Research shows that pairing black pepper extract with curcumin increases bioavailability twentyfold. And when you do that, curcumin becomes an effective joint support supplement. Studies show that supplementation with curcumin and black pepper extract reduces inflammatory signals in the joints and, in those with arthritis, relieves pain and stiffness and improves mobility. When paired with piperine, the clinically effective dosages of curcumin range between 200 and 500 milligrams. And that’s why there’s 500 mg of curcumin and 25 mg of piperine in each serving of our joint supplement, FORTIFY. In some cases, your body’s immune system can begin tearing down your own cartilage, in a condition known as arthritis. The clinically effective dose of collagen is between 10 to 40 milligrams per day for improving joint health. That’s a rather large range for dosing, but that’s only because studies have shown benefits using various doses, and it isn’t clear if more is better. Research clearly shows that 10 milligrams is effective, but not that two, three, or four times that amount is necessarily better. This is why FORTIFY contains a clinically effective dosage of 10 milligrams of undenatured type ll collagen in every serving. Pycnogenol is a compound derived from the bark of the maritime pine tree, or Pinus maritima. It’s similar to white willow bark in that it works by reducing the production of inflammatory compounds in the body, and it also seems to reliably reduce joint pain. The clinically effective dosage of pycnogenol is 100 to 200 mg per day. The downside of pycnogenol is that it’s also expensive, which is why most supplements use a similar compound known as grape seed extract. Both of these compounds contain what are known as procyanidins, which are chains of antioxidants found in some plants. Although they aren’t exactly the same, it’s likely that grape seed extract offers some of the same benefits. 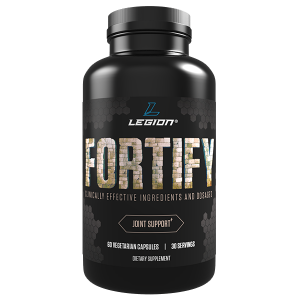 The clinically effective dosage of grape seed extract is 75 to 300 mg per day, which is why FORTIFY contains 90 mg of grape seed extract per serving. Boswellia serrata is a plant that produces an aromatic substance known as frankinsence, which has been used for thousands of years in Ayurvedic medicine to treat various disorders related to inflammation. Frankinsence contains molecules known as boswellic acids. Research shows that, like curcumin, boswellic acids—and one in particular known as acetyl-keto-beta-boswellic acid, or AKBA—inhibit the production of several proteins that cause inflammation in the body. And in case you’re wondering, the difference between the anti-inflammatory mechanisms of curcumin and boswellic acids is they work on different enzymes. Curcumin inhibits an enzyme known as cyclooxygenase, or COX, and boswellic acids inhibit lysyl oxidase, or LOX (and, most notably, 5-LOX). These anti-inflammatory properties extend to the joints, which is why studies show that Boswellia serrata is an effective treatment for reducing joint inflammation and pain as well as inhibiting the autoimmune response that eats away at joint cartilage and eventually causes arthritis. This is why there is 150 mg of boswellia serrata in each serving of FORTIFY. White willow bark is similar to aspirin (which is a synthetic version of a chemical that’s also found in willow), that’s been used to reduce pain and inflammation for thousands of years. It works by blocking the production of inflammatory compounds produced in the body, and it works about as well as NSAIDs. The clinically effective dosage of white willow bark is 240 milligrams per day. Shoulder pain is one of the most common hurdles for us fitness folk. Unfortunately, most of the things that “everyone knows” help reduce shoulder pain either don’t have any evidence for them or have been debunked. Stop doing whatever makes your shoulder hurt. Use proper form in your weightlifting. Do that, and chances are good you’ll be back in the gym in a few weeks. What’s your take on shoulder pain? Have anything else to share? Let me know in the comments below!